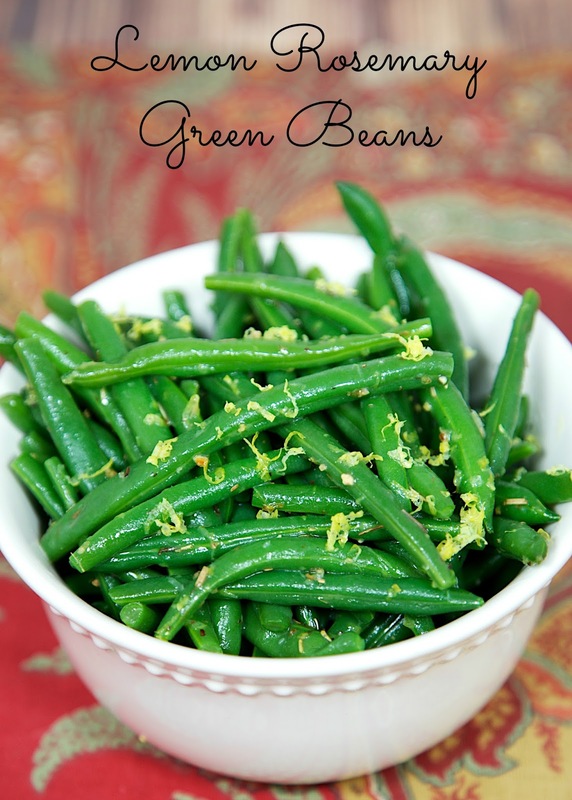 Lemon Rosemary Green Beans - quick and delicious side dish! Ready in 10 minutes! 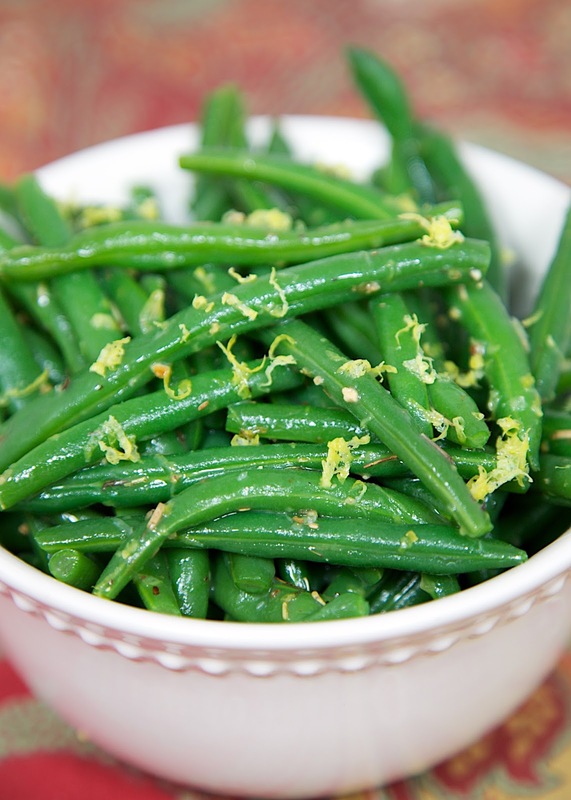 These Lemon Rosemary Green Beans are a quick and delicious weeknight side dish. They only take a about 10 minutes to prepare and taste great. The beans go great with chicken, steak, or pork. Really just about anything! If you want to save a few minutes on the preparation of this dish, clean and trim the edges of the green beans the night before. I just cleaned and trimmed the beans while the water was coming to a boil. These Lemon Rosemary Green Beans use a little bit of fresh chopped rosemary. I always have rosemary growing on our patio. I love the way it smells and it is great for cooking. If you don't have any fresh rosemary around, you can use dried. The green beans will taste fine. Wash and trim green beans. Cook beans in boiling water for 8 minutes. Remove beans to a bowl of ice water to stop the cooking. Drain. In a large skillet over medium heat, melt butter. Add beans, rosemary, lemon rind, salt and pepper. Cook 2-3 minutes. Serve immediately. I've been on the hunt for tasty new side dishes, (and I'm in loveeee with Rosemary! )- definitely pinning this one, thanks for sharing! I'll be having this a lot this summer! (And I'm off the check out that ranch crunch chicken now- sounds incredible!) You've given me so many of my favorite chicken dishes so I know it has to be good!